A Thanksgiving potluck is a great idea for you to take some of the pressure off of yourself from building and cooking an entire Thanksgiving menu. 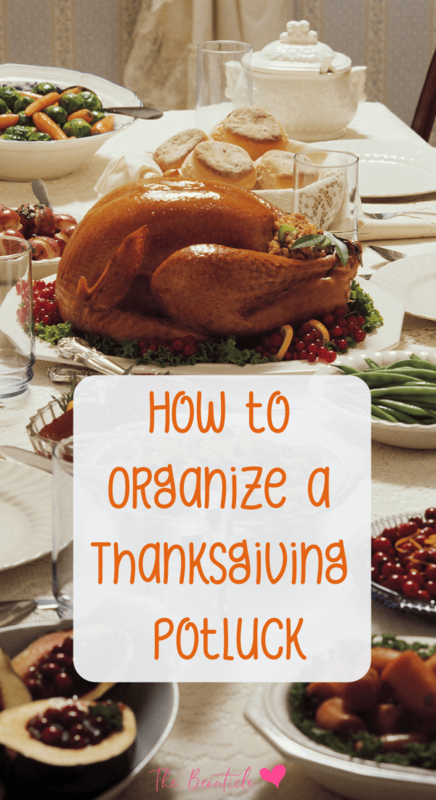 This article will provide some great Thanksgiving potluck ideas so that you can organize one at home or for the office. 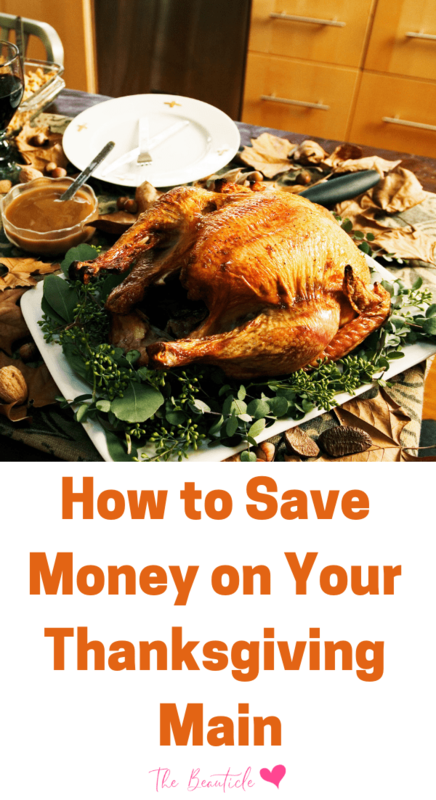 If you’re hosting a Thanksgiving potluck, the main should be your responsibility and this article will help you to save money on your Thanksgiving entree. A Thanksgiving potluck can be a great way to entertain at home without having to do all the work yourself or shoulder all the expenses. It will take some planning and organization, but could make all the difference between a fun Thanksgiving and one where you’re stuck in the kitchen all day cooking while you worry about your bills. Here’s how to organize a Thanksgiving potluck in 12 simple steps. Decide who is coming. Make a list, put in their contact information, and note anything you know about their food preferences or their allergies (such as vegan or nuts). Send out the invitations and ask them to RSVP. Also note if they are going to bring a guest, or whole family, in your final tally of how many people you need to feed. Looking for holiday-themed healthy recipes? These are some fantastic ideas! If the potluck is at your home, you should be responsible for the turkey and main dishes. Determine how much you will need in order to feed all of your invited guests, plus a few extra portions just in case, or for leftovers. If the potluck is at the office or somewhere else, ask for volunteers and determine who will make the main dish. Send this out with your invite. Include food allergy issues to avoid, without naming any names, and ask anyone to email you back with any issue you might not know about, just in case. Also ask them to check this with their guests if they are bringing a friend or date. Once you are happy with your list, post it on Google Docs or Google Drive and invite people to share the file. They will get a link emailed to them. Ask them to pencil in their name next to one or more items they would like to contribute to the feast. Set up a buffet table where everyone can add their items as they arrive. If the table is small, put any desserts in the kitchen until they will be needed. Remember that some of them might need to be kept cold in the fridge or freezer. You’ll need lots of serving and regular utensils, trays, ice and ice buckets and cutlery. Be sure to have enough glasses and plateware for each course laid out. These are essential so your guests can help themselves. Don’t forget dessert! And all the condiments, butter, mayo, serving spoons for gravy etc. Most of the dishes that arrive will be warm at best, so be prepared to heat them up in the microwave. Related: 13 Keto Thanksgiving Recipes You’ve Gotta Try! These hot beverages are nice with dessert, but they will require organization and cups, mugs, milk, sugar, spoons and so on. Butter, mayo, and so on will help enhance the meal. This will help keep things neat and tidy, and enable you to cover any spills quickly. If you’re hosting the potluck, the main course is on you. The main course will usually be the most expensive part of your Thanksgiving meal, apart from alcohol. Planning ahead can help you save money no matter what you decide to serve and what your family and guests prefer. Most families go the traditional route and choose a turkey. However, there are several important factors to consider. Do you want a whole bird, or just the breast? If your family does not like dark meat, a breast would be best. However, it will usually be more expensive per pound than a whole turkey. A bird with a bone in it will lose about one-third of its weight by the time you discard bones, giblets, fat and so on. This means a 12-pound bird will yield 8 pounds of food. Calculate 4 to 8 ounces of turkey per person. This will ensure you have enough to go around. Buy a turkey that is not self-basting. You can also consider avoiding organic, especially if you don’t eat turkey often. Organic as it is so expensive. Look for sales on frozen turkeys and turkey breasts in the run-up to Thanksgiving. You can also try local farms or farmer’s markets to see if you can buy a fresh bird direct. For chicken, you can usually find great prices per pound. Most people like chicken and you can use all the same side dishes and fixings as you would if you cooked a turkey. Oven stuffer roasters are usually on the large side if you just need one bird. Fix up your chicken with all the trimmings to fancy it up if you eat chicken often. Pork is branded as “the other white meat”. A pork tenderloin is lean, tasty and versatile. You can use all the same sides as you would a turkey or chicken. You can also use any leftover meat for a variety of homemade TV dinners, like tacos, stir fry and more. Check with your local farmer’s market or butcher’s, or the supermarket sales. Some people love ham at the holidays, and will buy a baked ham while pork prices are cheap. Bone-in is usually cheaper. Again, you can use all the same sides as with a turkey. Some large families cook both turkey and ham and then make the most of any leftovers. Check in the warehouse clubs or supermarket sales for the best prices. If your family loves Thanksgiving side dishes, however, roast beef would not be the best choice. Want to try out the keto diet? Our Complete Guide to the Ketogenic Diet Book is a complete, all-in-one resource for starting and sticking to the ketogenic diet. This book includes all the need-to-know info about the keto diet plus meal plans, checklists and grocery lists to get you started.